Little boys and baseball. The perfect combination! Add $3 for tan boy with bat in background. 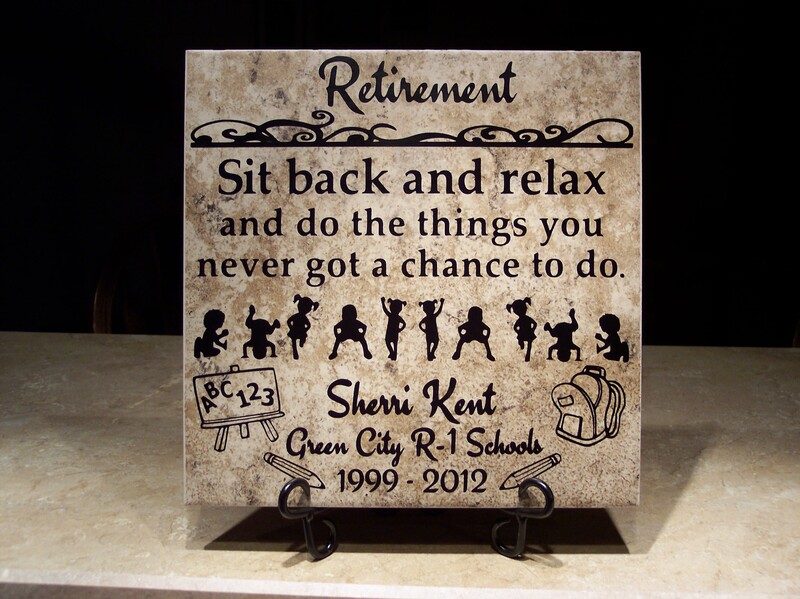 Retirement tile – special request. 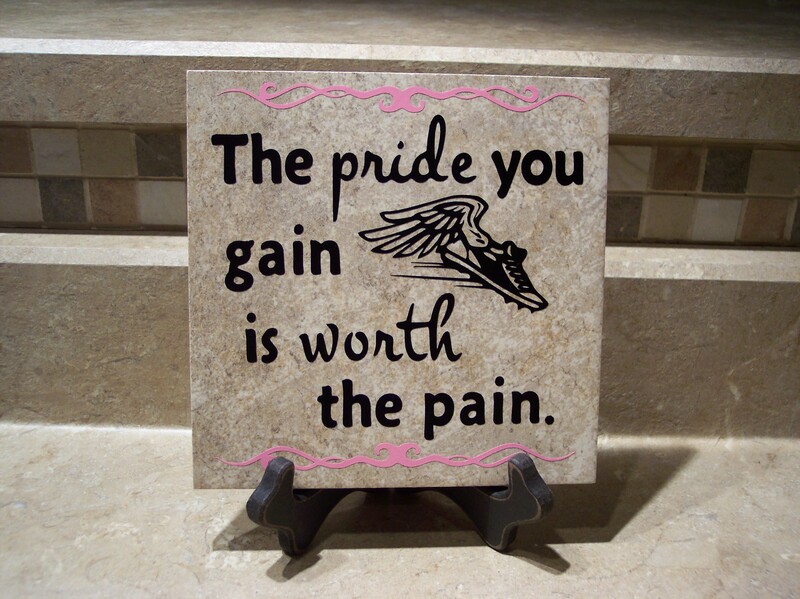 We could modify this tile to fit your circumstances. 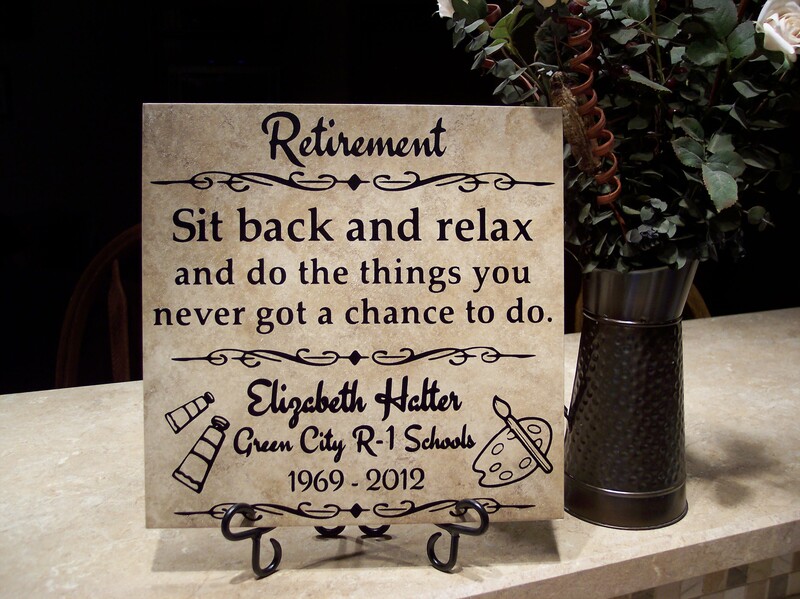 Retirement tile – for the preschool teacher. 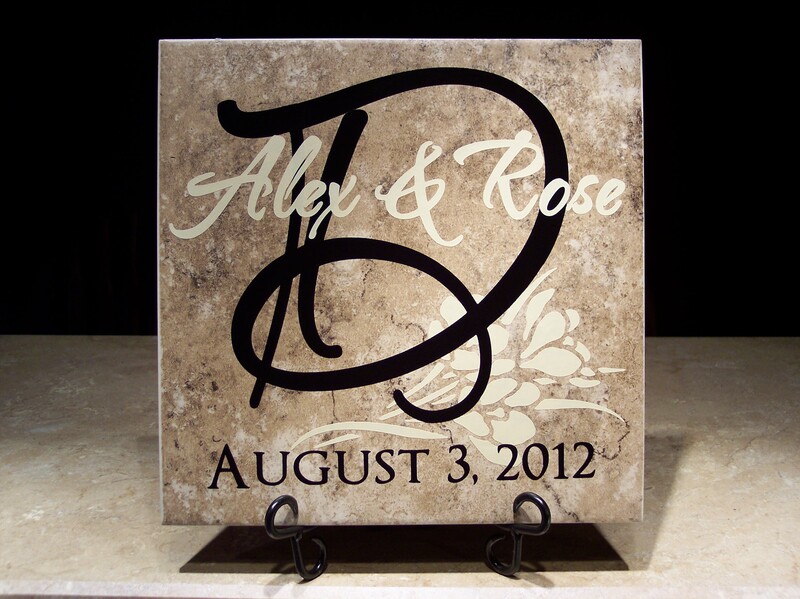 We will do our best to personalize a tile with both words and pictures to fit your circumstances. Just contact us at oreillytiles@gmail.com! 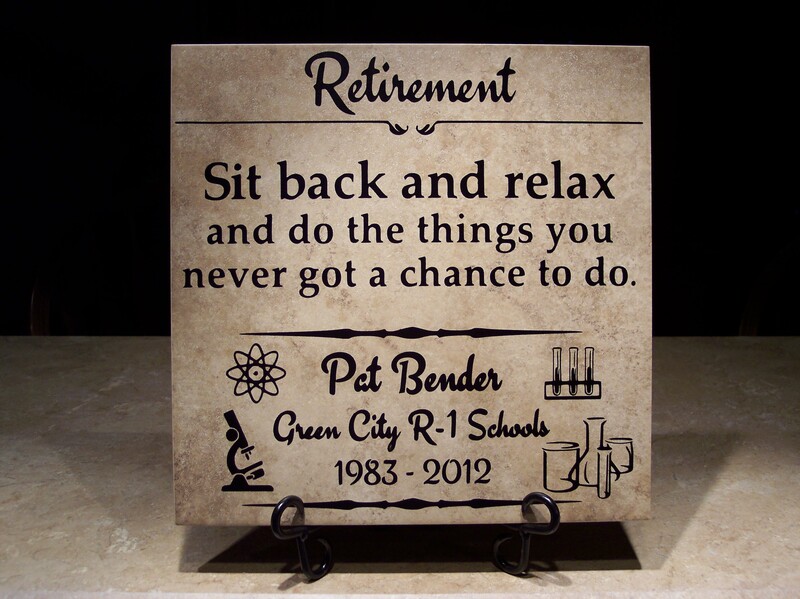 Retirement tile – personalized for the science teacher! Retirement – Sit back and relax and do the things you never got a chance to do. Personalized tile for the art teacher. 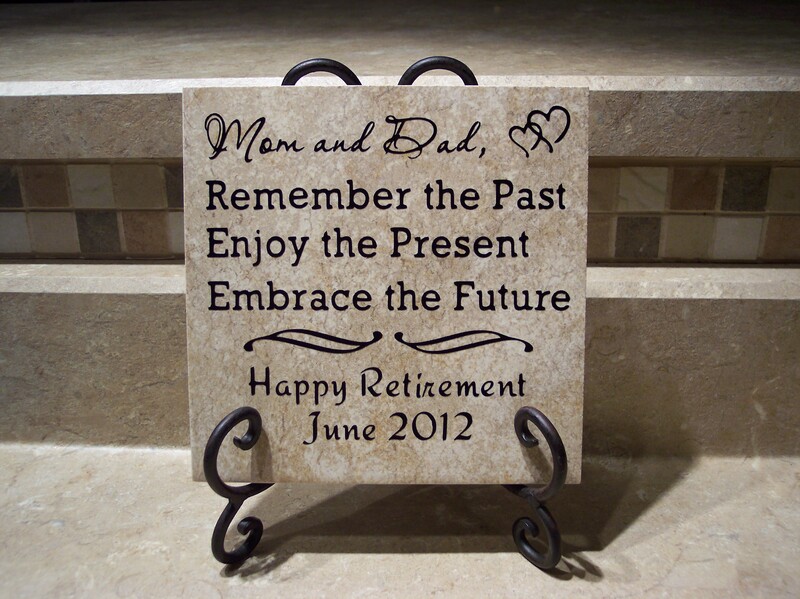 We will do our best to personalize a retirement tile to fit your circumstances. Just give us some info about the retiree’s likes/hobbies/job & we’ll see what we can do! The tile in the photo is done on a 13″ tile instead of our normal 12″ size. 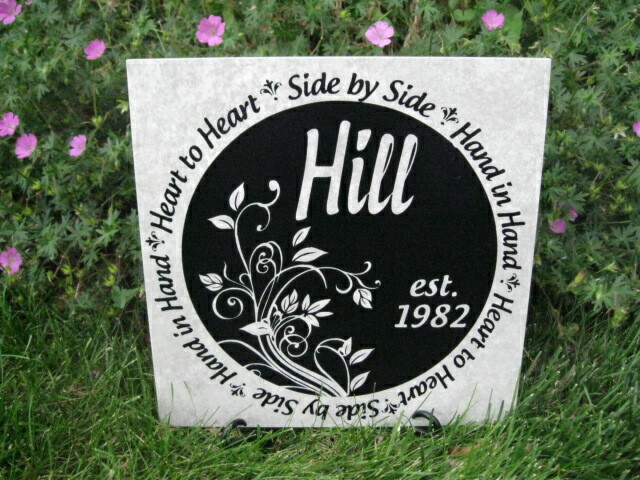 We will make either size for you – Price is $28. We recommend an extra-tall metal stand for the 13″ tiles – $7. Metal stand for 12″ tiles – $6. PLEASE NOTE: If you want us to ship a 13″ tile, the shipping charges will be higher because a 13″ tile will NOT fit in a flat rate Priority Mail box. Contact us at oreillytiles@gmail.com to discuss shipping. 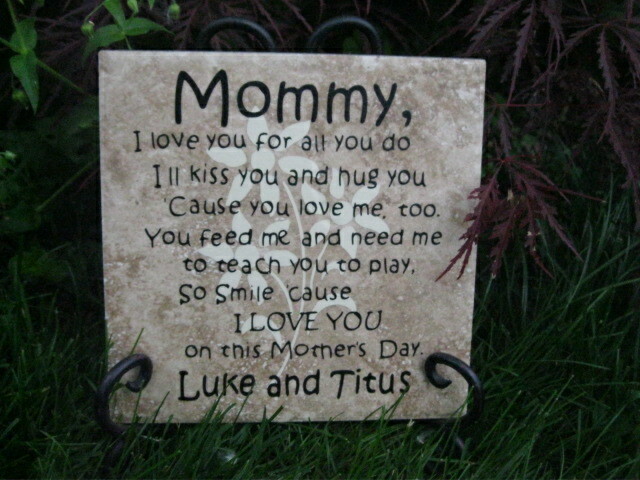 “Mommy Tile” – personalized with your children’s names. The perfect Mother’s Day gift! 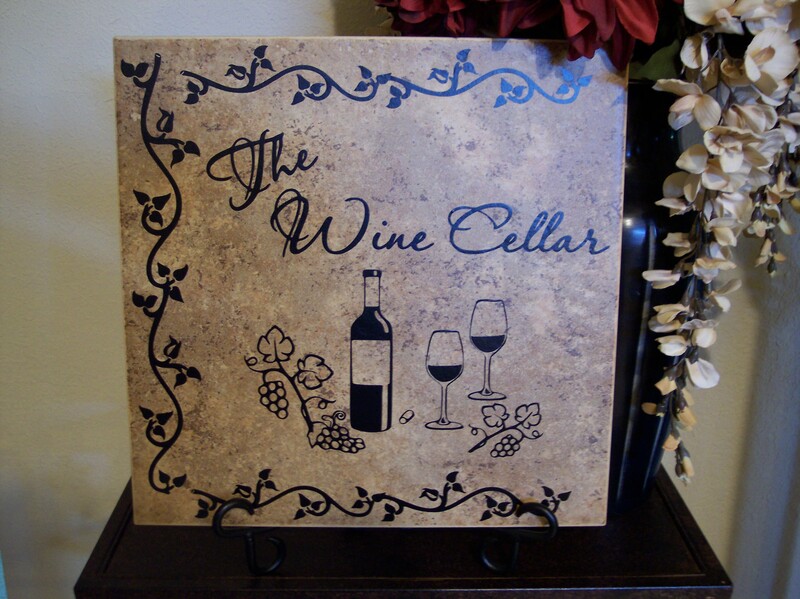 NOTE: This photo shows a 6″ tile on a metal stand only for 6″ tiles, BUT we are not selling them in a 6″ size because the letters are too small & tedious to work with in this size. Add $3 for tan flowers in background. 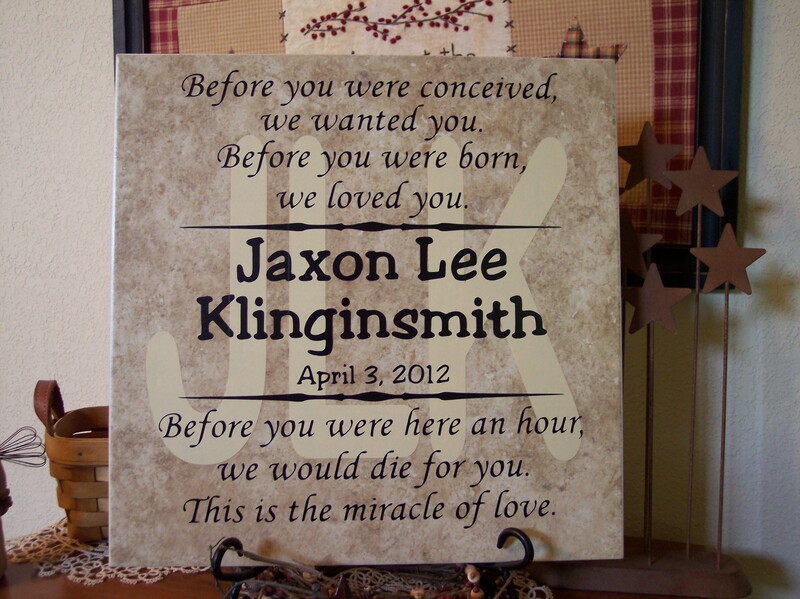 ALSO NOTE: If you have several children’s names to be added for personalization, KEEP IN MIND that we will have to shrink the size of all the letters on the tile in order to make enough room for personalization. If you have any questions, please email oreillytiles@gmail.com.